We organize specialized photo workshops for photographers. 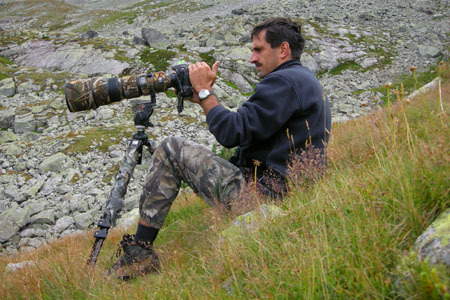 Our guides are skilled nature photographers. We work with biologists, ornithologists, foresters and naturalists to obtain as much information as it is necessary to prepare a successful workshop. The guides show you beautiful pieces of Polish nature but they can also offer you advice on photo equipment and photo techniques, you can use. They take photos with you so apart from being a guide they are also members of the team. 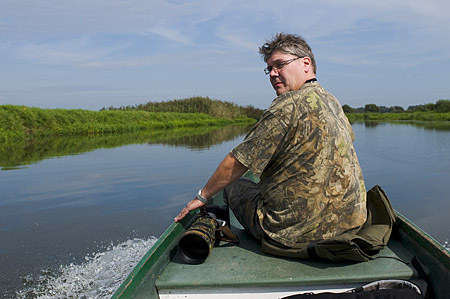 born in 1957, graduated from the Department of Biology at the Jagiellonian University and obtained his Ph.D. degree in Natural Sciences; for many years he worked as a researcher and lecturer at the Department of Molecular Biology and at Collegium Medicum of Jagiellonian University in Krakow; his interest in photography goes back to his childhood; it was then when he started taking his first photographs; his father who was an artist taught him about composition, graphics and colors and that is why he pays special attention to artistic aspects of the photos he’s taking; his photographic interests include landscapes, “miniature-landscapes” and animal kingdom, especially birds; he loves hiking in the wild and waiting for animals in self-made, camouflaged hideouts; besides photographing he also devotes his free time to recording the voices of nature.